Polkadot is a free and open source project referring both to an open network protocol and the public network that runs this protocol (e.g. Ethereum, Bitcoin). The primary implementation was announced on November 14th, 2016 in the Polkadot whitepaper written by Gavin Wood, co-founder of Ethereum, Parity Technologies and Polkadot. Polkadot claims current blockchain protocol implementations inadequately address differences in the needs of disparate users preferences for tradeoffs between privacy, security, and scalability. Additionally it is difficulty for most blockchains to communicate information to each other without an interoperability layer. Users participate in a variety of roles staking tokens in contracts across both polkadot and the parachains with the intended goals is to provide a improved scalability and security across a group of blockchains. The polkadot pre-sale will distribute 50% of the DOT tokens at the genesis block through a Dutch auction. No specific date has been announced, however it will not be available to residents of the USA or China. The sale will use Parity PICOP's, a technology for confirming identity to participate in ICO's, for know your customers (KYC) services. DOT tokens will not exist until release of the polkadot blockchain, estimated for Q3 2019. 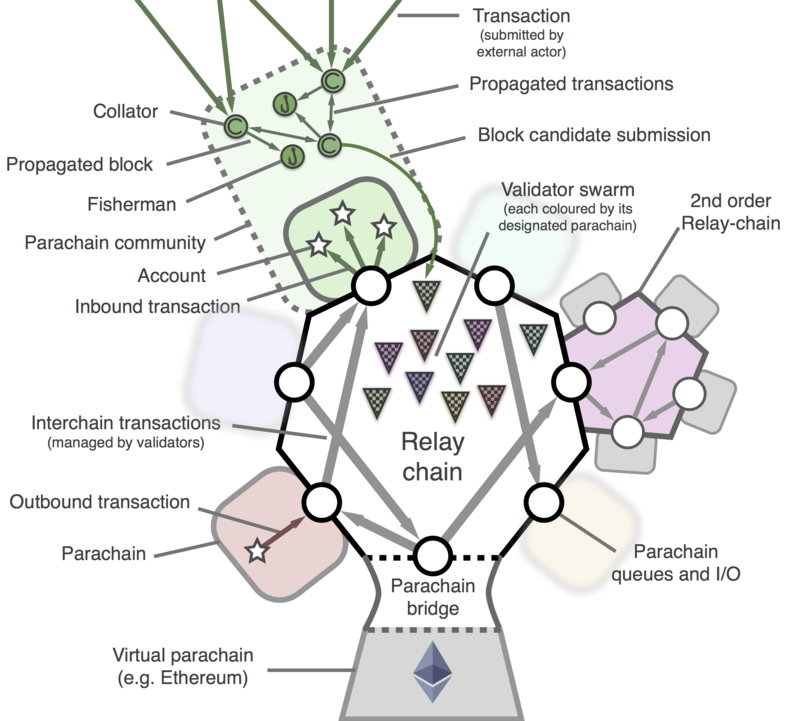 The polkadot chain is at the center of the polkdadot architecture providing the relay chain between a variety of parachains and virtual parachains (e.g. 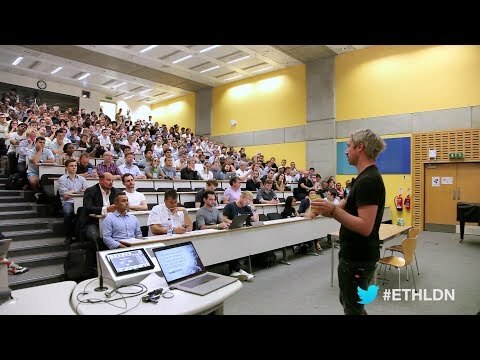 Ethereum, Zcash, etc). Scalability would come from parallelizing problems across multiple parachains. The relay chain coordinates consensus as well as the passing of any generic type of message between the chains. Messages are generic and can represent hashed bundles of transactions or any other arbitrary data. Thus the relay chain adds no functionality or complexity beyond pooling consensus and security across the chains and passing messages. The polkadot chain is governed by a proof of stake mechanism with a four varieties of user roles including validators, nominators, collators, and fisherman. Collators maintain a full node in specific parachains. They assist the validators by collating transactions and provide a block with a zero-knowledge proof to the validators. Fisherman watch the validators and collators for malicious attacks on the network. If fisherman they identify misbehavior they are rewarded. Interledger is a protocol suite that lets users transact payments across different ledgers.